Attending college can come with numerous amounts of struggles, like navigating the campus, completing homework or finding an identity all while trying to earn a degree. Having a support system that can genuinely relate to the same struggles is something that is often offered on campus and a need that Women of Gold tapped into. 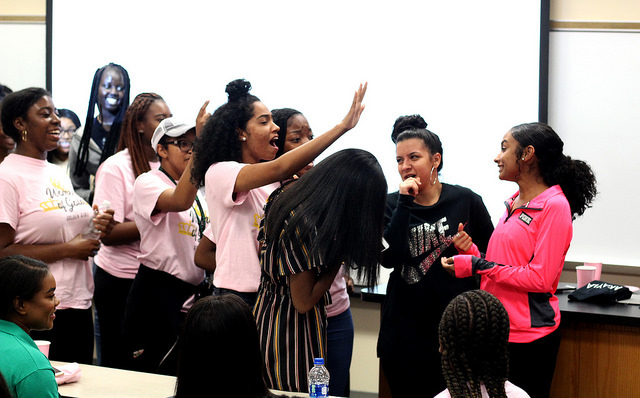 In September 2016, Ashley Guillory founded the Women of Gold chapter at UNT, an organization set to unify and uplift all women on campus through various events, community service projects and a safe space by hosting a strong female support system. Despite this only being their second year, Women of God are quickly expanding, as the group already has five chapters set up at different universities around the area: Texas State University, Texas Woman’s University, University of Texas at Arlington and Texas Southern University. 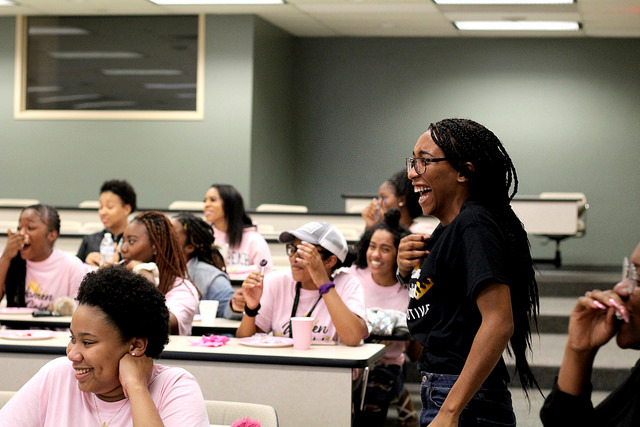 The Texas organization has sought out to fulfill a need for women of all backgrounds on campus to get involved and create a strong connection with other women who also share the same struggles. “We are all women, and we all go through some of the same things, so let’s talk about it,” president Valenynncia Bodie said. Bodie said she found herself drawn to the Women of Gold organization because of its strong women empowerment and community service components. She immediately wanted to get involved, and soon found herself as president in their second year. “As soon as I walked into the room, I immediately felt at home,” Bodie said. The Women of Gold work on enforcing a judgment-free zone for women by allowing their members to be vulnerable and discuss their issues with no backlash or criticism. Not only is it focused on addressing issues that happen to women, but it also creates a space for those struggling with issues in college. The executive board for the Women of G0ld said they try to understand college hardships and how tough that first year can be. “I’m trying to help those who I see as a reflection of myself,” treasurer Brittany Boxill said. Boxill joined the organization last year as a general body member and fell in love with the Women of Gold’s mission so much that she decided to interview for the ambassador’s program. She began serving as the treasurer of the organization. For other members of the executive board, it was also their personal connections that drove them to the group. “It was important for me, especially with having younger sisters, to be a part of an organization that focuses on unity, empowerment and individual growth within women,” social media director Leslie Davis said. 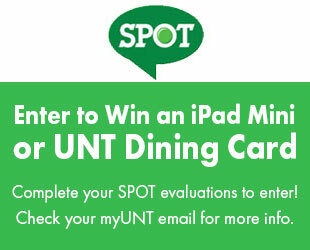 The organization often defines itself as a transition program for new students at UNT because it provides an emotional support system for members and pushes them out of their shells. Whether it be planning a panel with all members or organizing a small study night, Bodie said they try to create an inclusive culture for the members. “I used to go to class and go right back to my room, so we try to keep things interesting for our girls on campus and give them things to do,” Bodie said. Members said they understand how hard it is to make new friends in such a foreign atmosphere, so they are always creating new ways to keep their members involved — not only on campus but with one another through their various events. Community service is a very big element when it comes to the Women of Gold. The club believes largely in giving back to the community, not only because it helps keep their members involved beyond UNT, but also because community service contributes to the growth of members. The club participates in various community service projects, such as cleaning Fry Street and helping the Mothers Against Drunk Driving group by co-hosting a Christmas celebration. One of the other ways the club tries to fulfill its mission is to create opportunities for self-improvement. Those on the board often conduct instructional events for their members that educates them on everything from self-confidence and relationships to CPR certifications and changing a tire. The Women of Gold work to supply its members and non-members with a foundation they can use throughout their college experience. “We want to set a foundation for each of our members to understand who they are as an individual, why they want to become a strong woman and motivate them to do better for themselves,” Davis said. 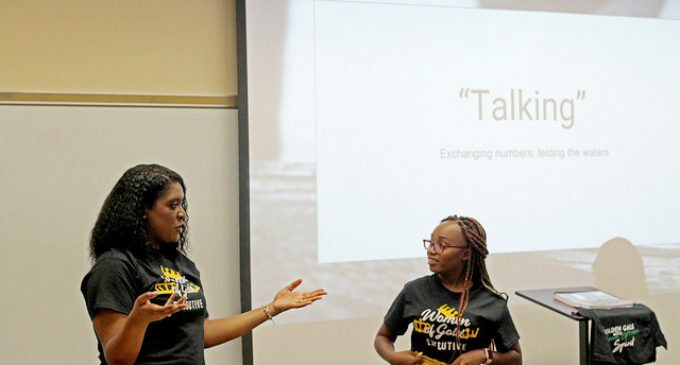 The Women of God has plans to expand their audience to reach those younger than college freshman by going out and speaking at different high schools. “We want to give them exposure to excellence and strong women,” Davis said. The Women of Gold see themselves creating a social shift between men and women by changing how society views women and continuing to promote excellence among women. That way, they can evolve into strong women and create a domino effect with those around them. Keep up with the Women of Gold on Twitter and Instagram @WomenofGoldUNT.